But, when I do get to wake up at 6:00 am, breakfast becomes the most important meal of the day. This time I baked the egg rings instead of microwaving it. I’m precluding the possibility that the yolk might explode. Yes, it has happened before. Plus, it’s less stressful. Time slows down and little moments (like having breakfast with people before they leave for work) becomes golden. Bake for 15 minutes or until the center is set but still slightly wobbly. 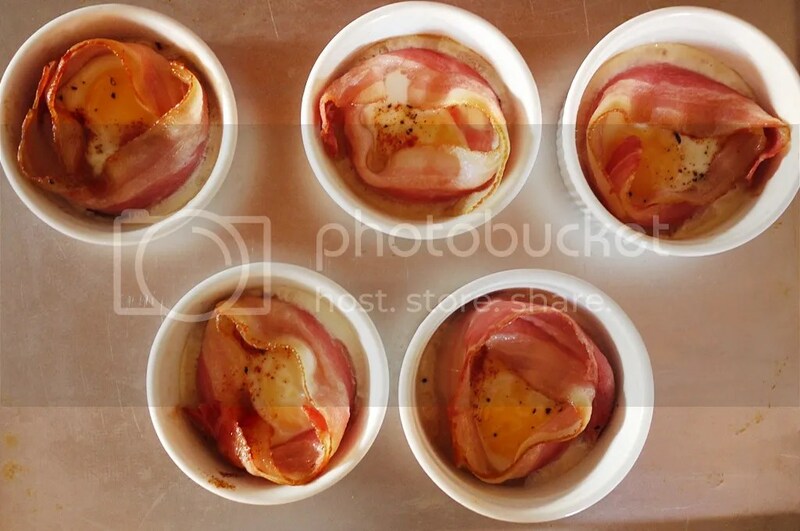 Ovens behave differently so if you want a runny center, check it at the 15-minute mark. This is my definition of a crazy amazing breakfast. 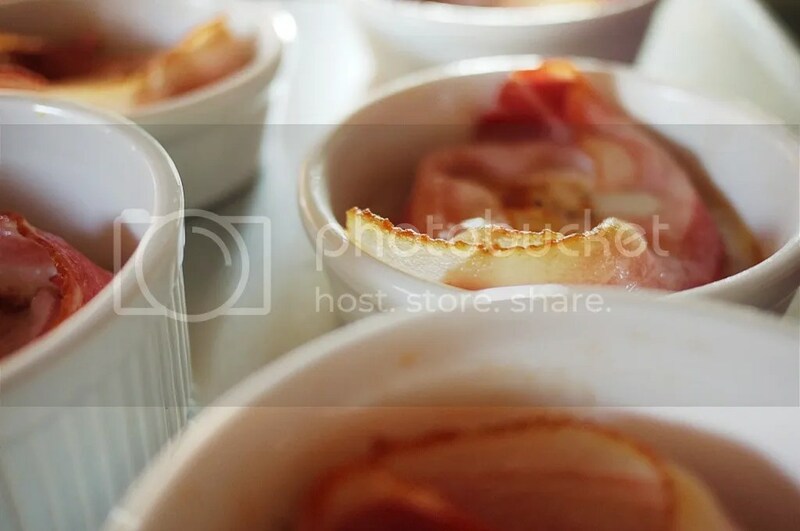 My mom was the first person to ever introduce me to bacon, when I was I think around 5 years old, sickly, thin and asthmatic. Suffice to say, 15 years later, I still have that love affair with bacon, and my pudgy belly is enough to prove it. 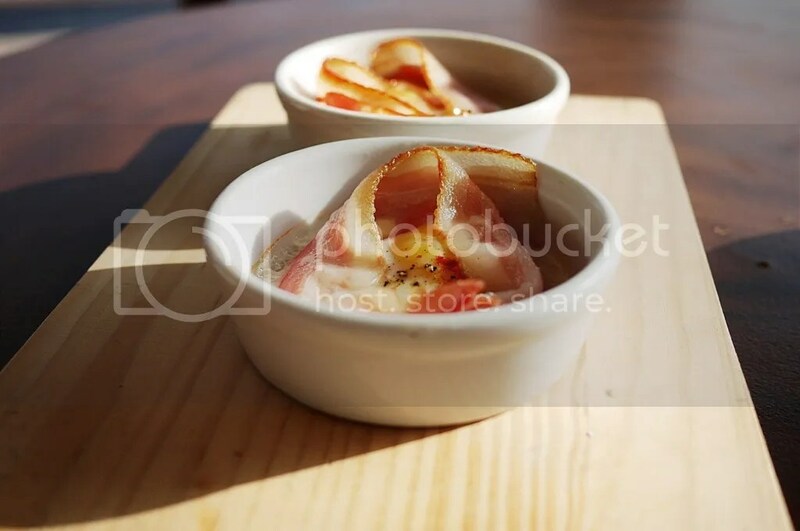 She was also the one who introduced me to the concept of bacon and eggs, and she almost always prepares it this way – using ramekins, with the bacon lining the eggs, and cooked in the microwave. A weird thing about me is I like my eggs sunny side up, but I’m not a fan of the runny yolk, so either I: 1. give it to my dad for him to eat, or 2. cook the eggs enough so the yolk hardens, then I give it to my dad, if that makes sense. But still the bacon and eggs combination for breakfast never lets me down, especially on mornings when my parents are long gone and I’m left to thrive on my own. 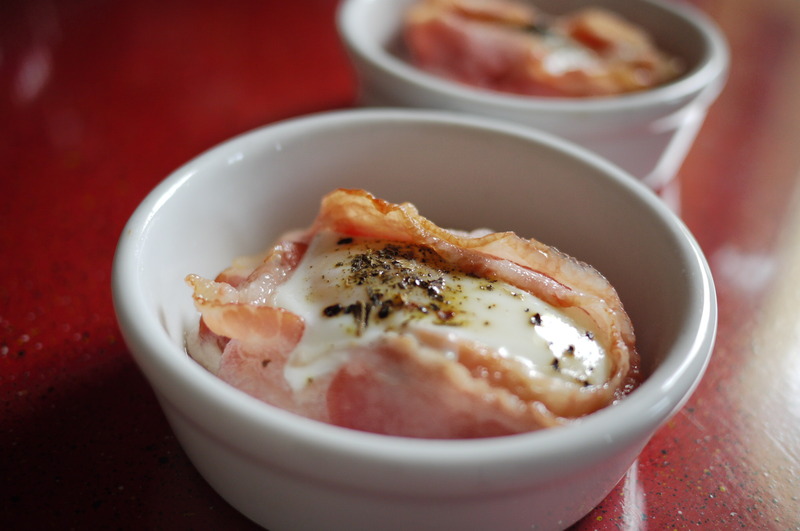 The use of ramekins makes it easier for me to cook these in the microwave. PLUS THERE’S A GAPING SPACE IN OUR KITCHEN WHERE OUR STOVE TOP AND OVEN USED TO BE SINCE IT’S DAMAGED AND AWAITING REPAIR, so yeah, thank you microwave. 1. 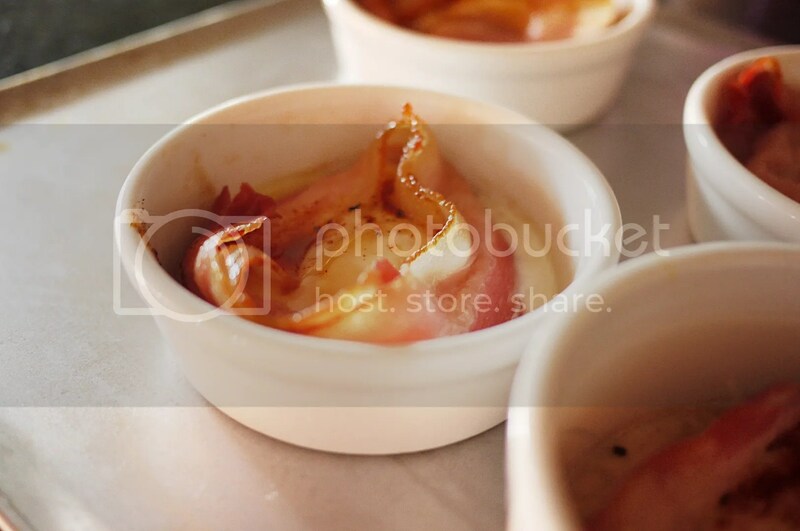 Line the inner side of the clean ramekin with the bacon. 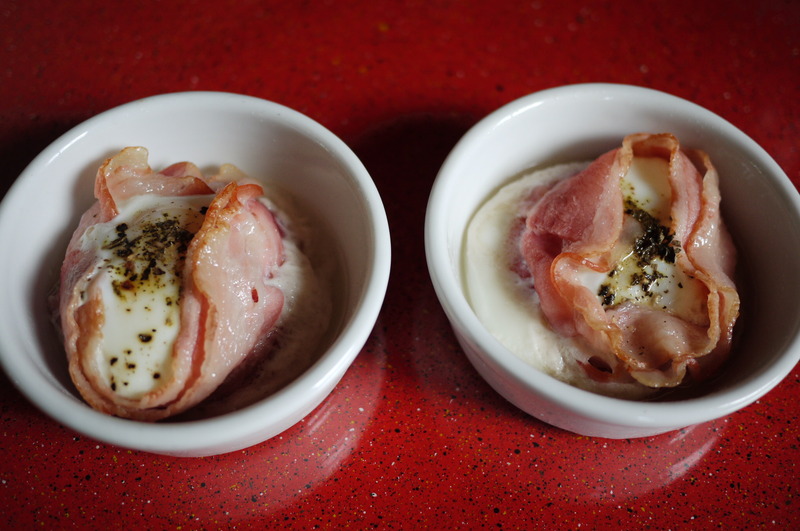 So the bacon did collapse on the egg while it was cooking, but I don’t really pay much attention to detail. Hey it was still a good breakfast. Serve it with a heaping scoop of rice, EVEN BETTER.